I really like the "match-up" of the marker and the obituary. And the stone is so beautifully legible. Not always the case, as we all know. We had several ancestors that were victims of consumption. It seemed to be so prevalent. Thanks for your comments, Malissa and Theresa! I agree, it seems consumption claimed a lot of my ancestors. 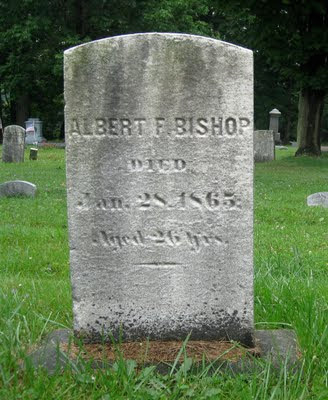 Albert's stone has held up better than any of the others in the family plot. I think they bought the best stone they possibly could for him.